Do you have what it takes to become A Roulette Champion? 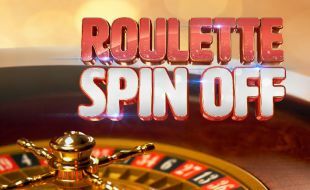 Then visit Emnotweni and enter the Roulette tournament and stand a chance to win a share of R100,000 in prizes! Tournament is exclusively to Black Rewards members. During the tournament, a leaderboard will be used to display the top 21 players. Players in position 2 to 21 will have to battle it out in the semi – finals. Any person who is under the age of 18 or who has been refused entry to the casino or who is self-excluded, prior to or during the tournament, is prohibited from gambling and/or participating in the tournament and will be disqualified, where applicable. Tournament will be open to all Emnotweni Black Rewards members (the “Participants ”), and it is closed to any persons who are directors, members, partners, employees, agents or consultants of or any other person who directly or indirectly controls or is controlled by the company or marketing service providers, or spouses, life partners, business partners or immediate family members. Active Black cardholders will each receive one complimentary entry ticket per week on Thursdays. Once printed, this ticket must be used before the expiry date which will be the next Friday. Ticket is not transferable and may be used at any time convenient to guests during the tournament operating hours on Thursday or Friday as per the expiry date on the ticket. Complimentary tickets have no cash value, and entries obtained through this method will not be counted towards overall prize money. Further entry to the tournament is by way of a prior cash buy-in, or point redemption to the value of R50, and it shall entitle the participant to the corresponding number of seats (R50 per seat) in any qualifying heats that occurs on the same day during which the Entry Purchase was made. Any complimentary entry not stipulated in this document, if such is afforded to a participant, will be paid for by the casino and it shall entitle that participant to a single entry. Designated and demarcated table will be utilised for the tournament and no live games will be offered on the tournament table. R50 cash /chip buy-in for one entry; no point earning criteria will be allowed and points can however be redeemed for entries. Players may re-enter as many times as they wish by way of re-buys provided that the re-buys are for different heats. Each chip will represent an unredeemable rand value of R10 for purposes of determining winners and ranking of players. These chips have no cash value and it cannot be redeemed for value in any form, or used to place bets at live games. R10 table limits apply to all heats. R200 maximum on the number, R100 minimum on outside chances in multiples of R100, R5,000 maximum on even money chances and R2,500 on columns and dozens. No call bets will be accepted. All chips must be returned to the respective table float at the end of each heat / round. Chips are to be kept on the Table in a visible manner at all times. Hiding chips or missing a spin may constitute to disqualification. Chip “winning” from one heat/round session will not be carried over. During the qualifying rounds and later stages specific betting timing periods may be applied. During the qualifying rounds an automatic leader board will be displayed reflecting the top 21 players. Players in positions 2 to 21 (20 semi-finalists) after the qualifying rounds will enter into a play off in the Semi-Final to qualify for the remaining 6 available seats in the Final. Position 1 on the leader board automatically qualifies for a seat in the Finals. The Finals will be held at Emnotweni 30 March as advertised and all participants will be required to register prior to the advertised starting time of the Finals. Late arrival and registration may result in being disqualified from the tournament. Should there be tied scores and there is a need for a spin off i.e. progressing to the next round or determining a position a Dealer will spin the Roulette ball in the wheel for the affected participants in alphabetical order of their surnames. The participant with the higher number (zero being a low number) will gain the higher position and the sequence will follow on respectively. The ranking order will be adjusted accordingly. In the event the same number is spun for more than one participant, the dealer will re-spin assigning the number spun alphabetically should there be a need. Whilst every reasonable effort will be taken to ensure the accurate recording of rankings/scores, the onus shall remain with participants to ensure that their rankings/scores are correct at all times. The casino reserves the right to make the necessary corrections as soon as it becomes aware of any founded discrepancies, which corrections could change the rankings/scores of participants and allocation of prizes.